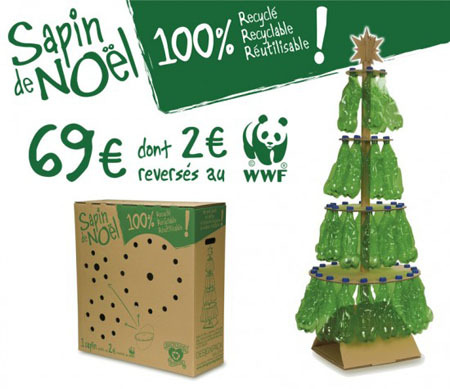 Celebrating Christmas with care to the environment is a great practice to start today. 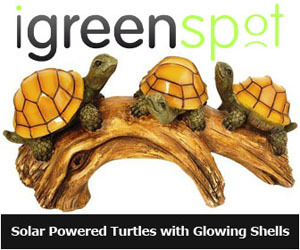 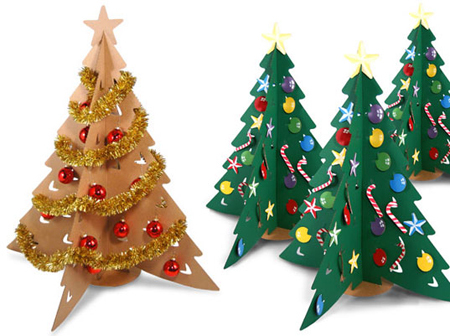 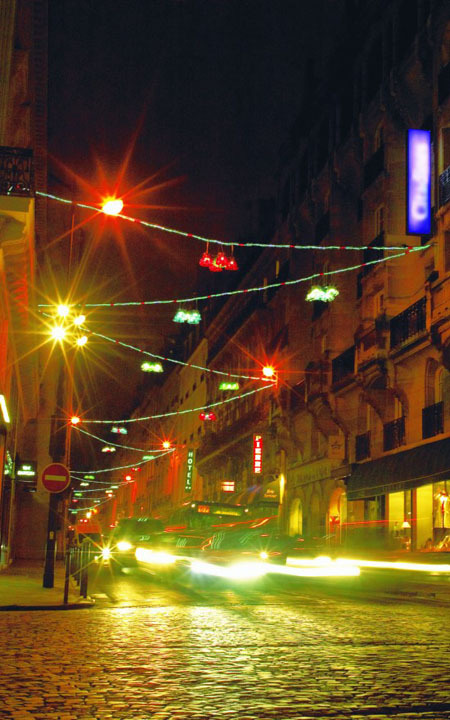 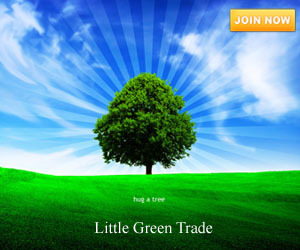 I am sure enough that it is not only in my place eco-friendly Christmas trees are erected. 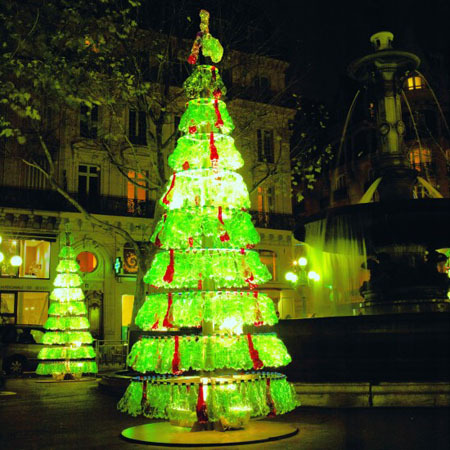 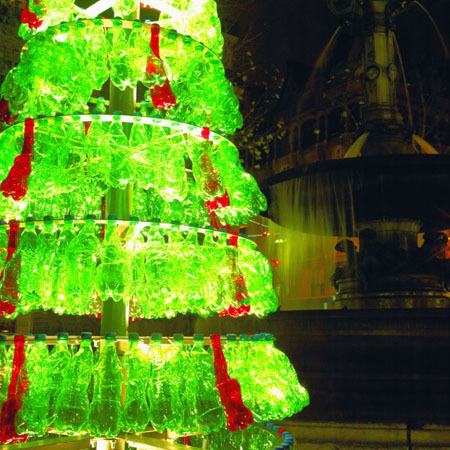 It is now a lovely practice around the globe and the Plastic Bottle Christmas Tree in Paris is just another addition to the lovely earth-friendly Christmas trees all around the globe. 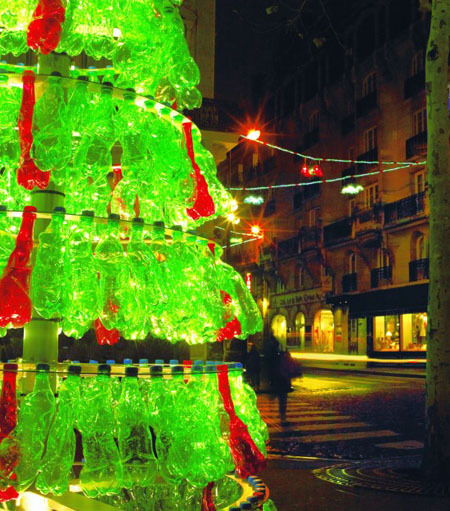 Design Pack Gallery launched the eco-Christmas tree and at the same time informing the people on how the recycling process is done and some more information about recycling. 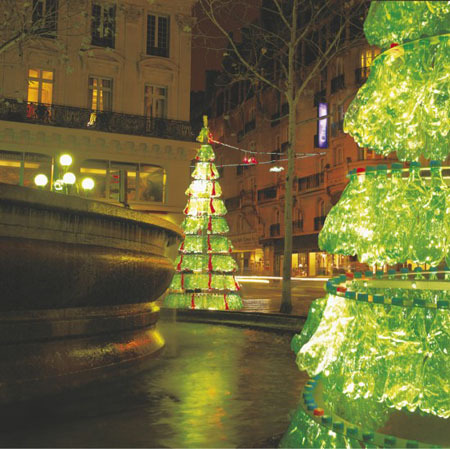 The tree looks so lovely especially when the 3 546w light are turned on.